Many people find it difficult to enter functions and apply them to large sets of data. If you have to go through multiple pages of information and want just one function to give you the figures you need, then the Auto Fill function is the perfect tool to use. Now, you can just drag your formula from one cell you’ve created and drop it through the desired amount of cells in your spreadsheet. The best part about the Auto Fill function is that you can easily stretch your any formula in the rest of your document to use. This is one of the most fundamental tricks to learn on Excel because it’s quickly learned and saves you a lot of time. To begin, download the free example spreadsheet located at the bottom of this page to follow along. You can also just begin using the Auto Fill function for your personal spreadsheet by following the instructions below as well. This tool is perfect whether you’re a business owner or just someone trying to keep stock of their personal finances. There is no feature easier to use, simply follow the steps below to use the Auto Fill function. The formula “=C2*D2” is contained within column C2. The Auto Fill function calculates the sales figures of each employee with their percentage rate and gives you their total commission earned. 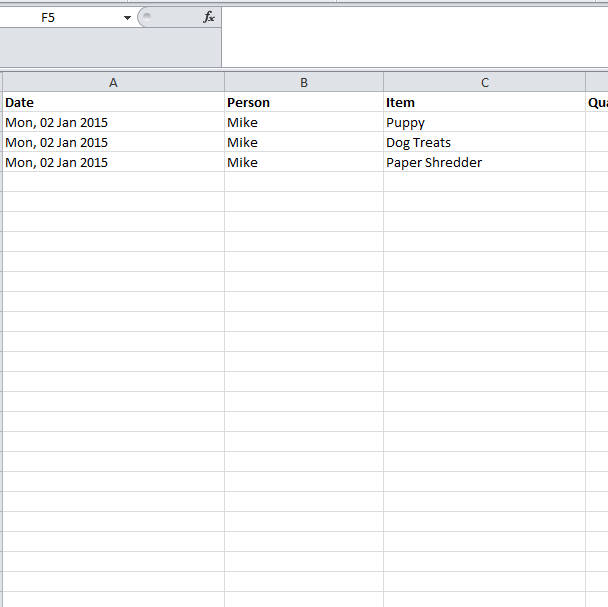 Just like in the example spreadsheet, start by choosing the cell to enter into your formula. This cell will give you the exact value you need through your spreadsheet for a specific item. All you need to do is click on the cell with the formula you entered and hold down the small square in the bottom right corner of the cell. Drag that square down the number of cells you want to apply your formula to. Now your formula will be applied to the cells you have selected.